Placenta encapsulation just may be for you if you desire an easier hormonal transition after birth because the drop in hormones after birth can be intense and unexpected. Placenta capsules can help you ease that transition into a much more manageable experience. Placenta encapsulation just may be for you if you have concerns about building a healthy milk supply. 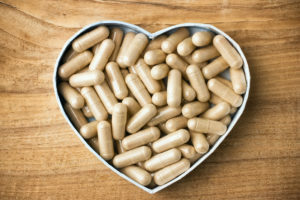 Research is limited on placenta encapsulation but there is one study that has shown evidence that ingesting placenta has the potential to positively affect milk supply. In this study 86% of women were found to have an increase in milk supply within 4 days of consuming their placenta. You can hardly listen to the radio for too long without hearing a Fertility Center advertise for egg donors. Traditionally anonymous donors for both eggs and sperm have been the more preferred method of in vitro fertilization. A new trend is emerging where more and more couples are turning to relatives, especially siblings, for donations. Our experts weigh in on the physical and psychological ramifications of more familial fertility assistance. Would you rather have a family member assist you with starting your family? A stuffed baby duckie.” That’s what Emma Grace Pearrell told Santa she wanted for Christmas. The three-year-old had been eagerly waiting her turn to sit on his lap at the kids’ holiday breakfast held by ambulance volunteers in Brunswick, Maryland. Santa heard young Emma’s request and gave her a big smile. “You are a special little girl,” he told her. Santa didn’t know the half of it. The mother he handed her back to, Juliet Pearrell, is also Emma’s aunt. Juliet was 12 and Jen just six months old when their lives were first torn apart. On Friday, October 25, 1985, their parents packed everyone into their silver Honda Accord and headed home from a beach getaway. Roughly halfway through the drive, a van smashed into the passenger side, killing the girls’ mother. After the accident the family, dazed with grief, tried to regain a sense of normalcy. But within a year, Juliet and Jen’s father, an Air Force officer, began dating someone new. “For me that was too fast,” says Juliet, who ran away to Washington, D.C. There, at age 13, she found herself on her own in the inner city, and the streets quickly turned dangerous. “I ended up eating out of trash cans and exchanging myself for somewhere to sleep,” she says. “You do bad things in order to stay alive.” After six months of toughing it out, she realized that home couldn’t be any worse. But when she returned, the house was vacant. “I just sat there on the porch,” she says. “I didn’t know what to do, where to go. So I turned myself in to the police.” From there she landed in foster care and bounced around from family to family, growing angrier and tougher with each failure. After the fourteenth placement fell apart, her social worker, Tracey Sasso, put her in a car and drove her to a no-nonsense couple in Nokesville, Virginia. “You’ve got to make this work,” Sasso said. “I have nothing left.” That last-chance foster mom, Erma Koontz, took one look at the cocky 15-year-old walking through the door and melted. “I saw this very sad girl with a chip on her shoulder,” Koontz says, “and I think that’s why I fell in love with her.” Juliet stayed through the rest of her teens and came to call Erma Mom. Even before the sisters were reunited, Juliet and Lester had hoped to have a baby; when it didn’t happen after five years, Juliet went in for tests. Surgery to remove a benign tumor left her without fallopian tubes and only one ovary, and by the time she took in Jen, she’d spent more than a year—and $5,000—juiced up on fertility hormones trying to use a friend’s eggs to conceive. Each failed attempt felt like an unbearable loss, and Jen sensed her older sister’s deepening disappointment. After Jen’s eggs were fertilized with Lester’s sperm, they were implanted in Juliet’s uterus. The first and second attempts didn’t work, but on September 4, 2007, after the third attempt, Juliet learned she was pregnant. Who will she love more? Babies — and their parents — often thrive on routine. The tough part is coming up with one that works for all of you. Many babies thrive on routine: They eat better, sleep better, and are more emotionally secure when they know that their needs are going to be met in a predictable way. But, as most new parents quickly discover, the routine a baby likes isn’t necessarily the one you’re trying to impose. There are simply no guarantees that her schedule will mesh with yours. “The first few months of any new job — including parenthood — are hard to organize,” says Andrea Phillips, a registered maternity nurse at Hoag Hospital, in Newport Beach, California. “Your ultimate goal is to arrive at a system that works for both you and your baby.” Here, some expert advice regarding three major areas of concern. For newborns, these two activities are inextricably linked, as most babies sleep a total of 16 to 18 hours a day. And because an infant can hold only enough food in her stomach to sustain her for a few hours, she’ll awaken when she’s hungry. “Newborns need to be fed on demand, so I recommend that you postpone attempts at establishing a schedule until your baby is at least 4 to 6 weeks old,” says Linda Black, M.D., a neonatology fellow and general pediatrician at the University of Minnesota, in Minneapolis. Although it may not be possible to impose much consistency in those first hectic days, there are some steps you can take to foster an early sense of routine. Try to sit in the same place each time you nurse. You’ll also want to keep the area well-lit, day and night, to discourage your little one from dozing while feeding. Jodi Mindell, Ph.D., associate director of the Sleep Disorders Center at Children’s Hospital of Philadelphia and author of Sleeping Through the Night (Harper Perennial, 1997), recommends starting some sort of sleep ritual for even the youngest infants. “A simple routine — feeding, changing, then singing a lullaby — helps your baby understand that it’s time to go to sleep.” Arrange your activities according to your baby’s natural tendencies. If he’s soothed by a nice, warm bath, for instance, consider giving him one in the evening; on the other hand, if the water and splashing rev him up, switch tubtime to earlier in the day. Above all, make sure that your baby is awake when you put him in his crib. “It’s how he learns to sleep on his own,” Dr. Mindell explains. “If he’s dozing after a meal, gently wake him and then put him down.” By the time your baby is 4 months old, he’ll be able to hold more in his stomach and remain satisfied longer. He’ll also be alert for longer periods, so you can attempt to initiate a more regular eating and sleeping schedule.